Yesterday was kind of a lost day for the blog, so the clarification on the Waiver Draft controversy didn't get published then, it had to wait until now. Troy's pick of Brian Elliott wasn't vetoed in the end, but he was deemed ineligible to be dropped in the bonus round, since Troy's team didn't own Elliott at the time of the injury. The bonus round was for injuries suffered by your team and if you chose to pick up an injured player, likely because he was about to return, that is up to you. Troy decided to keep the pick, since Elliott is traveling with the team and nearing a return. Problem solved, but we're going to look further into this issue for next season. Grant and Stuart were the only two teams left to make a move in the 2nd round of the Waiver Draft and both teams decided to pass, which led us into the bonus round of player swap. 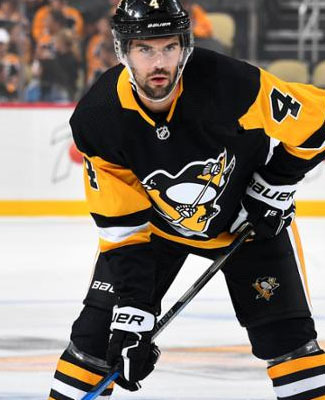 Only two moves have been made in the bonus round, to date, as Troy did have one injury move to make, dropping New Jersey's Sami Vatanen, who suffered a concussion this week and is out indefinitely, and he picked up Pittsburgh's Justin Schultz, who is coming back from injury and could be back int he Penguins' lineup at some point next week. There was only one team that was able to take advantage of the drop of Frederik Andersen and that was Wilton's team, who had an injured Curtis McElhinney on the shelf in Carolina, so the swap was an easy one for him and it came in just in time. These have been the only two picks made in the bonus round, but there are a number of players still on the injured list that are eligible to come off, if pool teams so choose. There are a number of those who are getting close to returns, so teams are likely going to stay put there, but it's just being thrown out there, that there are some bodies that can be dropped. The deadline for drops and picks will be puck drop tomorrow (Monday). Do you have a question about your hockey pool, this hockey pool or any other player news, match-up or rumour?